County judge candidates, left to right, Richard Cortez, Hidalgo County; Aurelio Guerra, Willacy County; Carlos Cascos, Cameron County, and Jane Cross, Hidalgo County, participate in a forum at the McAllen Public Library on Tuesday, Oct. 9, 2018, in McAllen. McALLEN — Before a small crowd that took up less than half the available seats, the next possible leaders of the Rio Grande Valley got together to discuss drainage, border security, voter fraud and other major issues affecting the area. 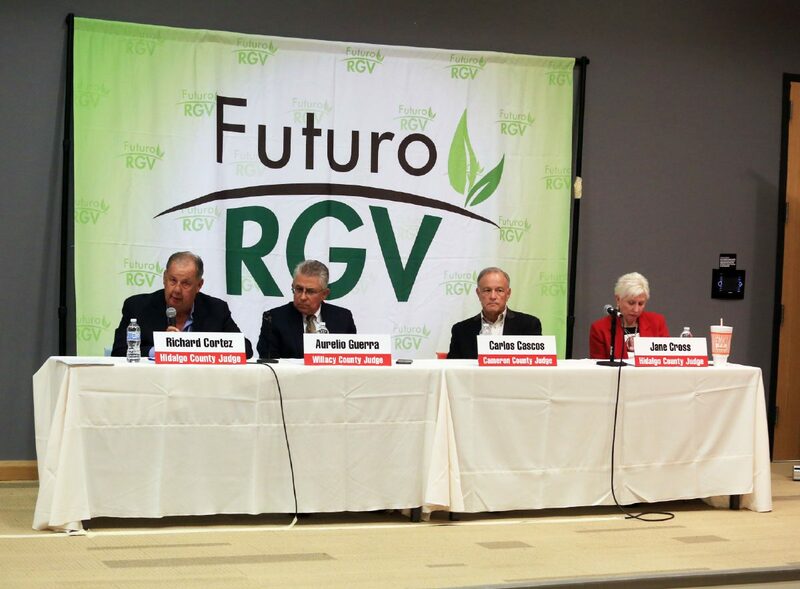 The candidates running for county judge for Hidalgo, Cameron and Willacy Counties participated in the forum Tuesday evening hosted by Futuro RGV at the McAllen Public Library. Taking turns responding to questions from a panel, the candidates first touched on drainage improvements, a topic brought to the forefront in the aftermath of major flooding caused by heavy rains in recent months. Richard Cortez, running as the Democratic candidate for Hidalgo County Judge, pointed to the $190 million bond that Hidalgo County Drainage No. District 1 has on the November ballot, which would raise the district’s tax rate by 3 cents, as what the county is currently doing. County judge candidates from Hidalgo, Cameron and Willacy counties participate in a forum at the McAllen Public Library on Tuesday, Oct. 9, 2018, in McAllen. 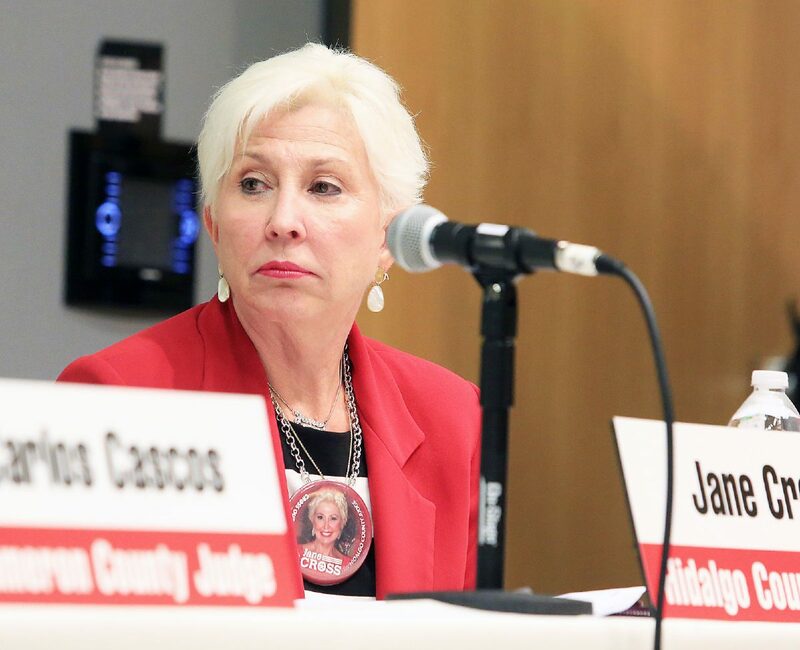 Hidalgo County Judge candidate Jane Cross listens to questions poses by a panel during a county judge candidates forum at the McAllen Public Library on Tuesday, Oct. 9, 2018, in McAllen. 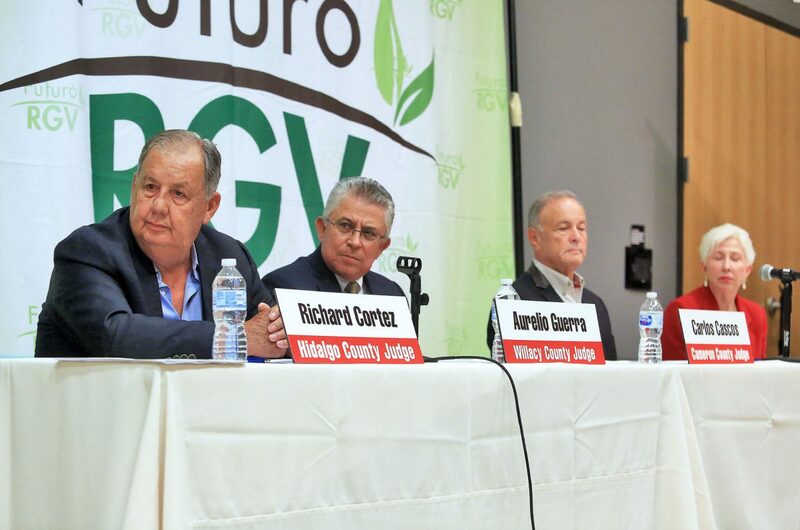 Richard Cortez listen to questions posed by a panel as county judge candidates from Hidalgo, Cameron and Willacy counties participated in a forum at the McAllen Public Library on Tuesday, Oct. 9, 2018, in McAllen. Moderator Davis Rankin speaks during a county judge candidates forum with Hidalgo, Cameron and Willacy counties participating at the McAllen Public Library on Tuesday, Oct. 9, 2018, in McAllen. However, he noted that it was important to work together with regional partners. 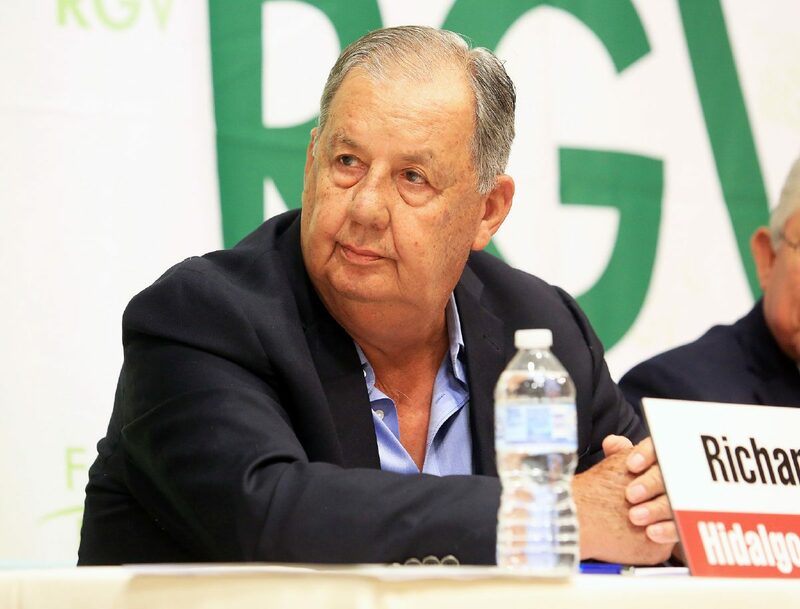 “Water flows from the west down to the east,” he said, adding that he spoke with Raul Sesin, the district general manager, about ensuring that Willacy County can handle what Hidalgo County is sending their way. “Because if you’re trying to solve Hidalgo County’s problems, then you will be shifting it over there,” he said. Unfortunately, it doesn’t appear Willacy County is prepared, according to County Judge Aurelio “Keter” Guerra, who is running unopposed for re-election. “We know that we’ve had a flood problem for a long time,” Guerra said, adding that construction has contributed to the problem. Guerra said he also met with Sesin about using funds from an $8 million grant awarded to Hidalgo County to at least clean one of their drainage systems without negatively affecting other areas. The topic then turned to another major infrastructure project that could negatively affect the region — the border wall. Carlos H. Cascos, the former Texas Secretary of State who is running as the Republican candidate for Cameron County Judge — a position he held from 2006 to 2015 — responded to questions about environmental waivers being granted to the federal government to allow construction of border barriers to move forward. Cascos admitted he didn’t know a lot about the waivers but said he believed environment laws were there for a reason. Jane Cross, who is running against Cortez for Hidalgo County Judge as the Republican candidate, also emphasized drainage as a major issue on which Valley leaders could speak as one when addressing officials in Washington, D.C. However when it came to flooding, Cross stressed the importance of counties focusing within their boundaries to encourage residents to install culverts to help drain the water. Cross, when asked whether she thought the Republican Party was doing enough to be competitive in the Valley, said she didn’t so. 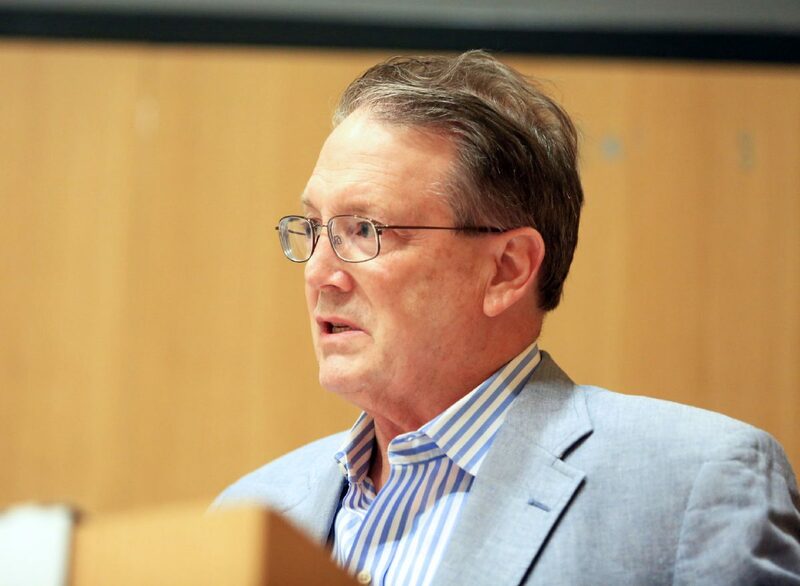 Cascos, the other Republican on the panel, was asked his opinion on alleged voter fraud which has led to arrests throughout the Valley and which caused the Mission mayoral June runoff election to be voided last week. “Voter fraud is not rampant in Texas,” said Cascos, who is running against current Cameron County Judge Eddie Treviño Jr., the Democratic candidate, who did not participate in the event. His suggestion to addressing that, he said, is having election employees hand-deliver the ballots and have them wait as the voter filled out the ballot. “It takes people, it takes manpower at the elections office,” he said, noting that elections offices are underfunded and employees may not be well trained.